Wendigo (occasionally: Wen-Di-Go) is a fictional (Character) monster in the Marvel Comics universe. He is based on the mythical creature of the same name. More about Wendigo (Marvel Comics) Character Review - keep reading !! Several people have been afflicted with the curse of the Wendigo, including Paul Cartier, Georges Baptiste, Francois Lartigue, Lorenzo, Mauvais and others. The curse is regional to the woods of Northern Canada and takes place, under the right conditions, when a person in the forests of Canada feeds on human flesh. This "Curse of the Wendigo" was created by the Northern Gods (also known as "the Inua") in an effort to deter human cannibalism. The cannibal transforms into a superhumanly strong, nearly indestructible, fur-covered monster: the Wendigo. He or she then roams the woods eating human beings. 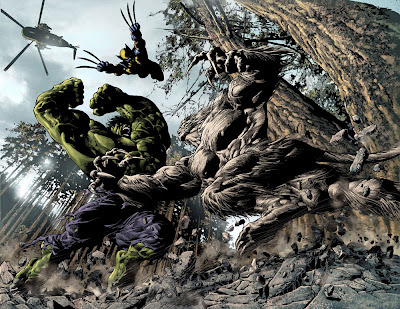 The Wendigo has frequently fought the Hulk, Wolverine, and Alpha Flight. Paul Cartier transformed into the Wendigo, battled the Hulk, and escaped. He battled the Hulk again and encountered Wolverine, and then battled the Hulk and Wolverine; Paul Cartier was cured as college professor Georges Baptiste became the Wendigo. He later terrorized a snowbound group. 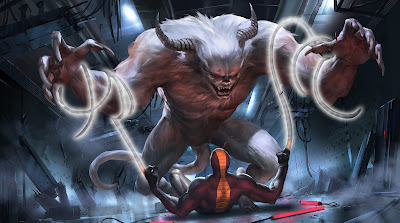 He battled Wolverine, Nightcrawler, and members of Alpha Flight; the Baptiste Wendigo was captured and cured by Shaman. 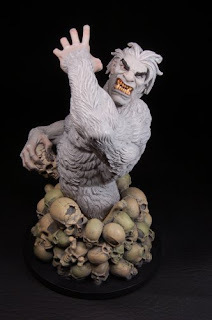 Fur trapper Francois Lartrigue later transformed into the Wendigo, battled the Hulk when Bruce Banner stumbled across a cabin belonging to him, and Sasquatch, and was taken to be cured by Shaman. One Wendigo battled the Werewolf by Night in an issue of Marvel Comics Presents. Its most frequent appearances were in the limited series Sabretooth: Open Season #1-4 where Sabretooth was hired to kill a Wendigo creature, ultimately succeeding. 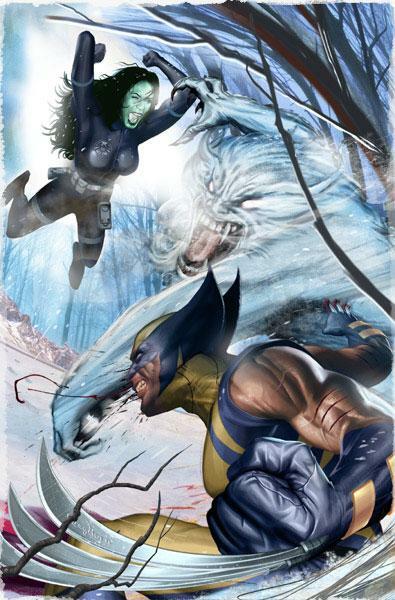 A few years later, a new Wendigo emerges, leading to a fight with Wolverine and She-Hulk. A local Canadian super-hero, Talisman, arrives and claims to have a magical cure for the Wendigo's condition, but S.H.I.E.L.D. agents won't let her pass until they finally confirm her identity. After a long battle, the Wendigo is defeated by a combined attack from his two opponents, and placed into SHIELD custody. In King Size Hulk #1, it is revealed that a pack of Wendigo exist in the Bering Strait after Red Hulk is attacked by a Wendigo, attracted by his camp fire while cooking a meal. A Wendigo bites the Red Hulk on the shoulder and he bleeds hot radioactive blood. He shoots the Wendigo in chest a few times with a rifle and wounds the creature, but it uses its long tail to damage his gun's sight scope. Angered, the Red Hulk reveals he gets hotter the madder he gets and then kills one Wendigo; the others come to claim the body and eat it. The Wendigos begin their invasion upon Las Vegas. Bruce Banner, on the trail of the Red Hulk, witnesses the Wendigo pack hunting the Casino area's big gaming room, all crouched about a water fountain with statues. Excited near a terrified girl, he transforms into the Grey Hulk. The Grey Hulk gets help in the fight against them from Moon Knight, Ms. Marvel, Sentry and Brother Voodoo. Knocked into some debris, later on the Green Hulk appears. However, the Wendigos infect Hulk turning him into the "Wendihulk" who ends up attacking his fellow heroes. The heroes managed to cure Hulk and drive away the Wendigos. When the Avengers Academy students have an encounter with former Norman Osborn subject Jeremy Biggs, it was mentioned that Biggs' company had bought a Wendigo which killed Steve (another former Osborn subject with ice-based powers). The Wendigo possesses a variety of superhuman physical abilities as a result of transformation by an ancient mystical curse. The curse causes anyone that ingests the flesh of another human, while within the Canadian wilderness, to transform into the Wendigo. The Wendigo possesses superhuman physical strength of an unknown limit. It is known that the Wendigo possesses sufficient strength to go toe-to-toe with the Incredible Hulk. Aside from its vast strength, the tissues of the Wendigo's body are considerably stronger than those of a human being, providing it with superhuman durability. A Wendigo's body can resist high caliber machine gun rounds without sustaining injury. If a Wendigo is injured, it can recover from the physical trauma with tremendous speed and efficiency, giving rise to the quote "strike him down and he shall only rise again". The dense fur covering the Wendigo's body grants it immunity to the harsh conditions of the extreme cold weather common in the areas in which the Wendigo has appeared. The Wendigo can be rendered unconscious by sufficient force, such as severe physical injury and trauma, but it has even been able to regenerate from being completely disemboweled. It has even survived its heart being ripped from its chest. However, consumption of a removed heart will confer all powers and even the form of the Wendigo on whoever consumes it. It is not known what effect psionic attacks would have on or against a Wendigo. Despite the Wendigo's great size, it can run at speeds greater than that of an Olympic level athlete. The enhanced musculature of the Wendigo generates less lactic acid than the muscles of a human being, granting it superhuman levels of stamina. The Wendigo's fingers and toes are tipped with razor sharp, retractable claws that are capable of piercing even the Hulk's skin, a feat usually reserved for adamantium, due to a combination of the toughness of the claws and the Wendigo's massive physical strength. Even though each Wendigo was once a human being, in most cases very little is left of the person it once was. It possesses little intelligence and can be considered non-sentient, and with the exception of brief and rare instances, is unable to remember things about its former life. It also lacks the ability to speak anything other than its own name, which it often will yell and repeat during its attacks. Sorcerers such as Mauvais and Lorenzo have been able to avoid this aspect of the curse, using magic to gain the power of the Wendigo while keeping their intelligence and the power of speech. 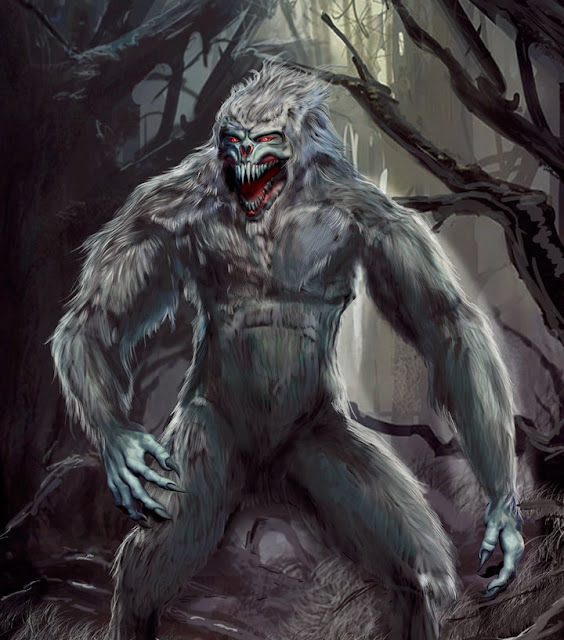 Wendigo appeared in The Incredible Hulk episode "And the Wind Cries...Wendigo!" voiced by Leeza Miller McGee. In this show, the Wendigo is a curse placed upon an Indian. When the Wendigo captured Betty Ross, Hulk and General Thunderbolt Ross had to work together to save her. Wendigo appears in the Wolverine and the X-Men episode "Wolverine Vs. Hulk." This Wendigo is also shown to have horns whose bite turns others into Wendigos. In this episode, Wolverine is approached by Nick Fury to take down the Hulk in the Canadian wilderness, but discovers that S.H.I.E.L.D. 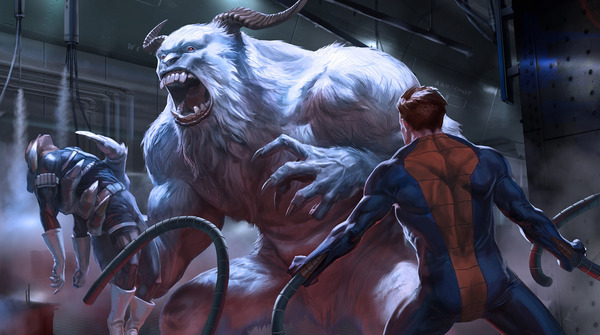 Agents had previously enlisted Bruce Banner to aid in capturing and curing a creature called the Wendigo when some of the S.H.I.E.L.D. Agents fell victim to the Wendigo and became Wendigos. It was originally believed to have been created by a mystic curse, but it is later revealed that the creature is actually a S.H.I.E.L.D. super-soldier experiment gone wrong conducted by Nick Fury. With the help of Hulk, Wolverine used the formula-filled darts to cure the S.H.I.E.L.D. Agents.